Also known as The Georgian, this classic conservatory is square or rectangular, with stylish lines. 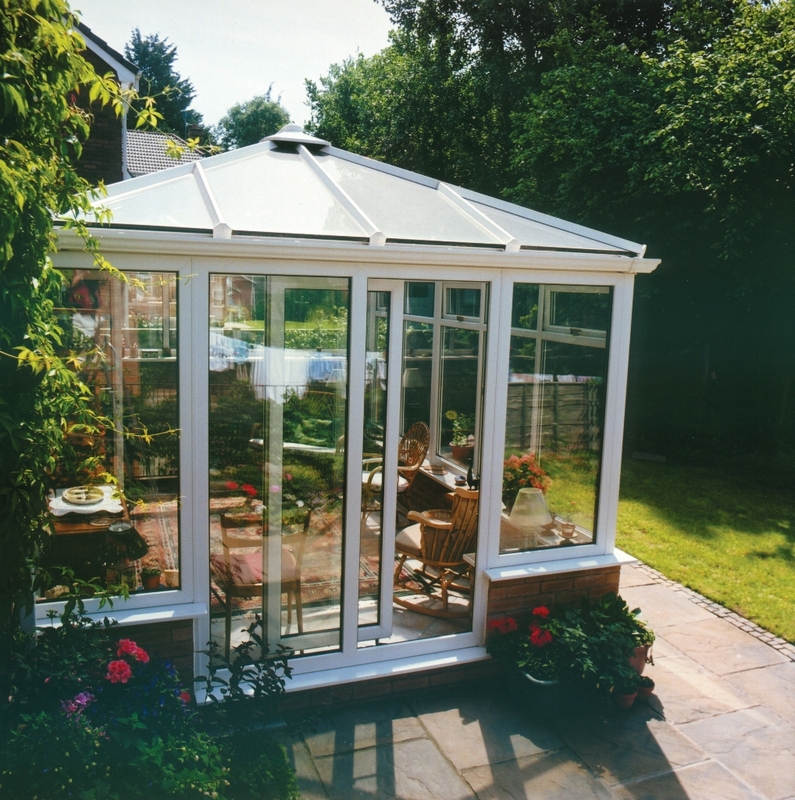 Edwardian conservatories have straight and square profiles without faceted ends, and offer a clean and simple look with strong bold lines. The full square corners on the Edwardian style maximise the interior floor area as opposed to the more rounded corners associated with a Victorian. When conservatories first came into vogue, they were seen as the ideal room to entertain guests and display the horticultural trophies of the British Empire. The ambience and light of the conservatory contrasted with the dull interior of the home, allowing Edwardians to introduce stylish new furniture and exotic ornaments and plants. From wicker settees to caged songbirds the Edwardians indulged themselves with the romance of the conservatory whilst maintaining classic exteriors which complimented the original architecture of the home. If you would like a quote for one of our Edwardian roof conservatories, then please give us your contact details and someone will be in touch very soon. Or please call us on 0800 6523151.